The satisfying pop of a cork is giving way to the crink-crank of a metal top. From the tasting rooms of Napa Valley to five-star restaurants—in fact, wherever wine is quaffed—the satisfying pop of a cork is giving way to the unglamorous crink-crank of a screw top. That’s upsetting not just to tradition-minded oenophiles, but to environmentalists as well. Vintners have been sealing their bottles with corks since at least the 16th century. But corks often have a critical flaw: they sometimes give the wine a musty, moldy smell and taste. “It’s like wet cardboard,” says George M. Taber, author of the recently released ‘To Cork or Not to Cork: Tradition, Romance, Science and the Battle for the Wine Bottle’ (Simon & Schuster). Depending on which studies you believe, anywhere from three to 15 percent of all bottles with cork sealers turn up tainted. This problem has been around for centuries, but took on new prominence after a Swiss chemist in 1981 discovered it was caused by corks, specifically those infected with a naturally occurring chemical compound called trichloroanisole (TCA). Around that time, world wine consumption also began to boom, driving up the prices of corks. As a result of both, winemakers began looking for alternative methods to close their bottles. The first popular synthetic corks, made from plastic, debuted in the early 1990s. Screw tops, which have been used by cut-rate labels like Gallo since the 1950s, soon began catching on for higher-end vintages. Both promised to not only eliminate cork taint, but were generally cheaper. The results have been dramatic in the $4 billion wine stopper industry. Two decades ago, nearly all wine bottles were sealed with natural corks; today, the figure is around 80 percent. Synthetic corks are still the most widely-used alternative, but easy-to-use screw caps are catching up fast—and not just for the corner-store plonk they’re usually associated with. Half of all Australia’s wines and nearly all of New Zealand’s are now sold with screw tops. Bottles from high-end outfits like Napa’s PlumpJack Winery and Inman Family also sport screw caps. But for once, the old way of doing things turns out to be better for the environment. Cork is admirably renewable, recyclable and biodegradable. It is made from the bark of cork oak trees, which is peeled off in huge strips about once every ten years and then grows back. A typical cork oak can continue producing usable bark for up to 200 years. The trees also help our increasingly put-upon planet. Cork oak forests cover huge swaths of land in the Mediterranean countries of Spain, Algeria, Morocco, Italy, Tunisia, France and especially Portugal. They provide shelter to a range of plant and animal species, including endangered ones like the Iberian lynx, Barbary deer and the Imperial Iberian eagle, as well as jobs for more than 100,000 people. Almost 70 percent of their product is used to make the 15 billion bottle stoppers sold annually. A report last year by the Worldwide Fund for Nature warns that if the trend away from corked wine continues, an area of cork forest half the size of Switzerland will likely cease being cultivated and thus be put at risk of dying out or burning up in forest fires. Losing them would be bad for the climate too: cork oaks soak up millions of tons of carbon dioxide, a major greenhouse gas. Synthetic corks and screw tops, by contrast, require a considerable amount of energy to manufacture, which equals carbon emissions and other pollution. They’re also difficult to recycle. All of which explains why environmental groups—including the WWF and the Forest Stewardship Council—are campaigning for cork. The cork industry is battling back, too. Major manufacturers have invested millions in recent years to screen their cork more carefully and upgrade their production processes to cut down on taint. As a result, the percentage of tainted bottles has dropped, according to Christian Butzke, a professor of oenology at Purdue University. Artificial caps are also turning out to be less than perfectly reliable, as some winemakers have unhappily discovered. Plastic corks can fail, letting in air that oxidizes the wine. Screw caps’ more reliably airtight seals also have drawbacks. Natural corks typically allow in minute traces of oxygen, which allows high-end reds to improve with age. Screw caps not only prevent this from happening, they can also sometimes trap gases given off as the wine develops over years inside the bottle, triggering a process known as “reduction,” which gives the wine a sulphury smell. In other words, there’s still no perfect way to seal a bottle. It’s enough to drive you to drink. Vince Beiser is a California-based writer who contributes to The Los Angeles Times Magazine and Rolling Stone. 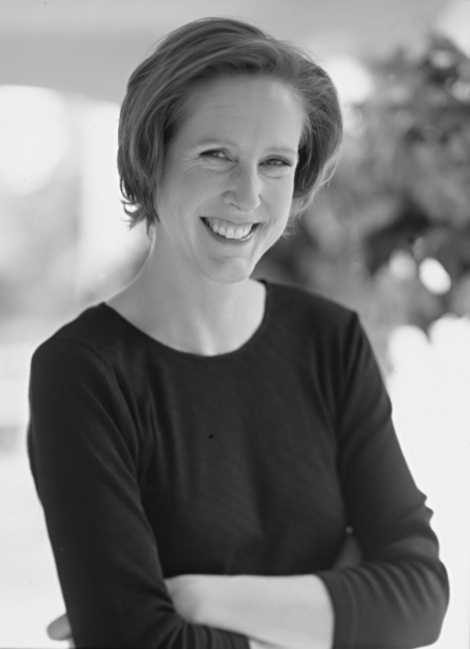 Mary Roach on “Stiff”—The curious lives of human cadavers. 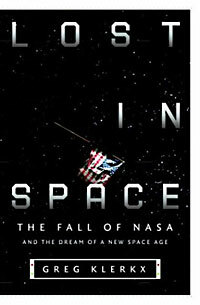 Spatially Challenged—The fall of NASA and the prospects for a new Space Age. Ethical Blind Spots—Why you’re not as ethical as you think you are.